We are now on the final leg in the run up to Blizzcon 2013, 8-9 November at the Anaheim Convention Center in California. It’s a great time to be Blizzard fan with so much being offered up this year whether you are into WoW, StarCraft II, Diablo III, Hearthstone or Heroes of the Storm. Whether you’re joining Blizzard at the Anaheim Convention Center or taking advantage of the BlizzCon Virtual Ticket, you can find the schedule of events here: http://eu.battle.net/blizzcon/en/event-info/schedule/friday-schedule and ensure that you don’t miss a thing. “Malthael, the Angel of Death, grows restless. Having sieged the historic city of Westmarch, he now sets his sights on a new metropolis: Anaheim, California — the great gamer haven of the West” Blizzard.com. 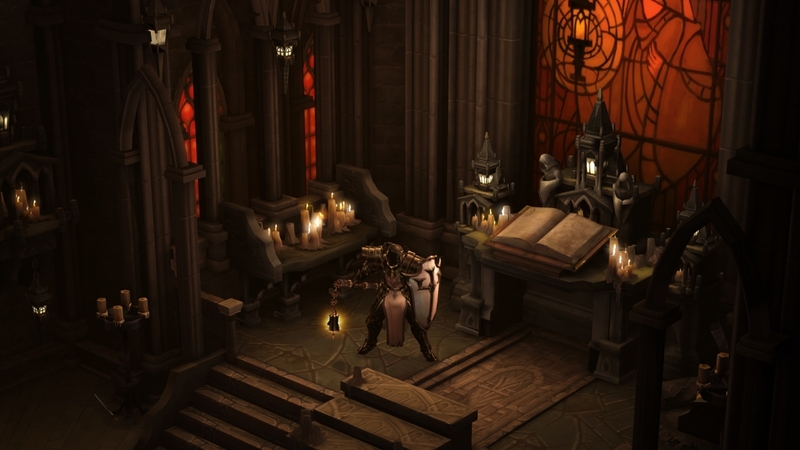 There will be 300 stations set-up to demo Reaper of Souls where all five original Diablo III classes will be playable, as well as the new Crusader class, a fierce mid-range melee warrior. It has also been confirmed that there will be a playable version of Reaper of Souls on the PS4 at Blizzcon this year, players will also be some of the first in the world to get their hands on a DUALSHOCK®4 controller to enhance their monster slaying rampage through the Nephalem Rifts. Blizzard All-Stars, formerly Blizzard DOTA is notably absent from Blizzcon 2013, the reason being because it’s changed it’s name to Heroes of the Storm. If you remember, about a year ago Blizzard and Valve engaged in a legal battle over the DotA name after Valve revealed that it was going to title its sequel to DotA, DotA II. That battle was eventually won by Valve and led to Blizzard naming its DotA sequel Blizzard All-Stars. And in true Blizzard style they have produced a trailer for Heroes of the Storm which can mean only one thing – we are bound to be seeing more about this one at BlizzCon. “The idea behind the Invitational is simple: Take some of Hearthstone’s most passionate players and pit them against each other in a no-holds-barred deathmatch” Blizzard.com. Blizzard have lined up Day Vs. Reckful and Hafu Vs. Kripparrian in the top bracket and Trump Vs. Husky and Noxious Vs. Artosis in the bottom bracket, each player brings three decks with three different classes and play each other in a set of best-of-five matches – but if one of their decks loses then they will be eliminated, only one player will survive to be named ‘Grandmaster of the Hearth’, all live on stage at Blizzcon. If you don’t have the option of going to Blizzcon in person, pick up your Virtual Ticket now and be part of the action http://www.battle.net/blizzcon/en/. Tickets are £24.99/€29.99/$39.99 and include: panels, interviews, and exclusive content; contests; the closing ceremony; in-game goodies and on-demand replays. Learn more about the ticket at http://www.battle.net/blizzcon/en/virtual-ticket/faq. Don’t miss out, get your virtual ticket now! See you in November. Super captivant ce post. Est-ce que vous avez un flux RSS ? Je voudrais vous suivre pour ne pas rater les prochains.